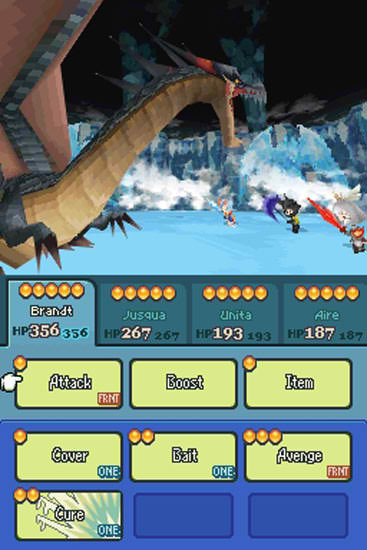 Can't wait to get this dragon! I'm about eight hours into the story and roughly seventeen hours overall. I've experienced several rpg cliches on display, but they have been very well executed and broken up by an engaging battle system. 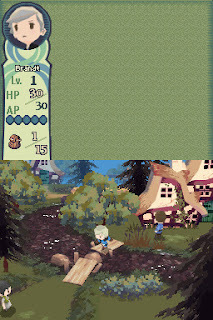 Now, before I talk about the greatness of the battle system I want to point out my one and only complaint (so far). I can not pick the enemy to attack. 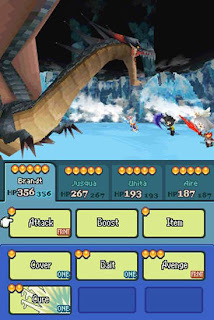 So if there happens to be more than one enemy to fight, the game makes the “best choice” based on stats of the attacking character and the enemy forces in front of my party. It hasn't really been to much of a problem, but I can feel this will become a hazard later in the game when the difficulty starts climbing. That aside, however, I can now focus on the enjoyment I've had with the battle/gameplay systems. The characters can only hold a max of 15 items. Which means no 99 potions or just holding onto all of my equipment. With only 4 characters playable (I haven't had access to a party larger than four characters) I can only have a max of 60 items on me. This includes healing items, phoenix downs, weapons, armor and even spells (spells can only be used by the character who has a spell tome equipped) will take up space in the inventory. Special items however don't take up space in the characters pockets. So far I've only come across a map that goes into to a separate storage that my party has. This would appear to be a bad feature to have at first glance, but I'm enjoying it. I have to think ahead of where I currently am. Forcing me to always be on my toes with what could happen next and properly prepare for the unknown. Adding a level of “realism” to the fantasy realm is never an easy aspect to incorporate. So I'm glad Square experimented with it. Also the feeling of what could I run into and what should I bring just in case the worst happens has been an unexpected surprise of enjoyment. Mix this into a fun, fast paced battle system where I can combo spells and attacks together from my entire party (appears to be fairly random, there might be a hidden formula that I need to figure out) in a turn based battle mechanic and I'm in gameplay heaven. 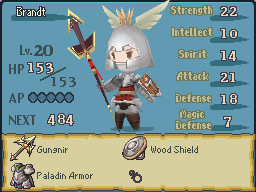 Every weapon has an element that it is tied to which obviously plays into the battles themselves, because each enemy has an elemental affiliation. Water spells used against a water affiliated enemy doesn't heal the attacked enemy. At least not from what I've noticed so far in the game. What happens in these situations is the attack (whether from a water based weapon or a water based spell) effectiveness greatly decreases. To give an example, a water based attack to a neutral element does 24 damage, but against the same elemental affiliated enemy does about 3-6 in damage (numbers were created by me to give this example). All in all you can tell I'm really enjoying my time with FF: T4HoL. For a spin-off Final Fantasy title this doesn't feel like a “cash in”. 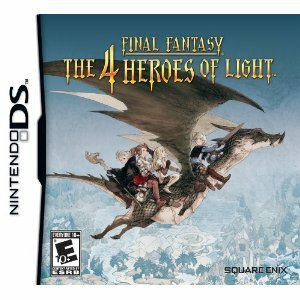 That being said this game could very well be called The 4 Heroes of Light, because there is very, very little that connects this release to the release of other Final Fantasy titles. Of course Japanese companies need to improve the chances of selling better numbers than without a big name brand on the cover. Anyways, 4 Heroes has me enthralled, for the first 20 hours at least. Sounds interesting. Item management can be annoying so that initially turned me off, but the battle system looks interesting, as does the art style. Item management could become very difficult to do. Each character has 4 equipment slots. So with those taking up 4 slots, you've got 11 left over. The character that uses spells, each spell takes up a slot. It is an interesting system though. It really feels "real".